Mark Moshier and the fundraising experts at the Boy Scouts of America hear you. Last week’s explanation of why a unit’s fundraiser was determined to be against BSA rules left some of you with even more questions about fundraising and the National Council’s role in the money-earning process. Some of you even questioned whether the National Council regulates fundraising projects because it wants to make sure to get its cut of the profits. Let me say right now: That’s not true. 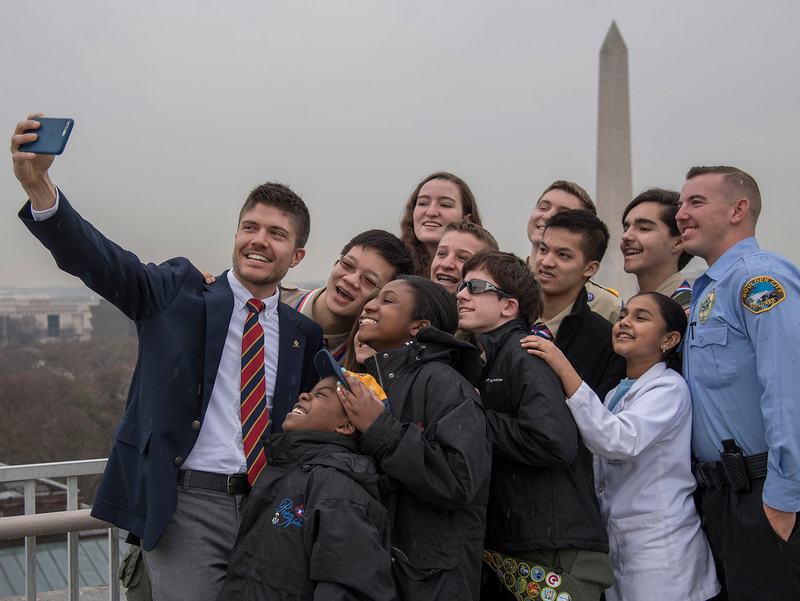 The National Council, Boy Scouts of America, has a responsibility to uphold the standards set forth in the Charter and By-Laws and Rules and Regulations of the BSA and to keep the Boy Scouts of America and local councils in compliance with IRS and other government regulations. The BSA standards are reviewed regularly by volunteers and staff to determine if they need to be updated, but several basic principles have not changed for decades. The National Council is funded by registration fees and sale of supplies, the Local Council is funded through contributions, and Units are funded by money-earning projects. The document “Who Pays for Scouting” (PDF), or something similar, has described this tiered approach for many years. The national organization is not looking for and has no interest in receiving any portion of unit fundraising activities. Similarly, the national organization does not receive any proceeds from council product sales, such as popcorn. Each local council works with independent vendors to create a product sale program that best fits its needs. If there are issues with the popcorn sale, that should be addressed at the council level. Car washes and spaghetti suppers advertised as “free — donation accepted” are permissible. If a person sees a sign for a car wash, spaghetti supper or another activity, he or she makes a conscious decision to participate and support that activity, and he or she fully expects that it is not truly free. However, they may take you up on your offer of a free car wash or a free dinner. In the activity of bagging groceries, it is likely that the shopper did not make a decision to participate and is now obligated to donate. The tradition of not accepting tips for what is essentially a good turn goes back to the story of W. D. Boyce lost in the London fog. When a Scout helped him find his way, the Scout refused a tip. That so intrigued Boyce, a hard-nosed business man, he sought out Sir Robert Baden-Powell and subsequently brought Scouting to America. Some commenters have brought up the Kickstarter route for fundraising. If you read the proposal carefully, the troop is not using Kickstarter to raise money to fund the troop. They are looking for investors to fund a video on how to plan a major group activity, which will be available to Scout units and other organizations. In fact, the Kickstarter site specifically states that the program may not be used to raise funds for a nonprofit organization. Kickstarter is a “venture capital” website, so the video would be fine, but the site is not to be used as a fundraising venue. We understand that units have funding needs and social attitudes, technology and communities are changing. We are trying to maintain a framework where all of the interests of the Boy Scouts of America can be achieved. We truly question our own policies and procedures every day and evaluate whether they are still valid. At the end of the day, we realize that we are a movement of 1 million registered volunteers and countless more interested parents and other parties trying to do the best to further the Scouting movement. There are some absolutes that are either legal or regulatory in nature. The national organization tries to provide broad guidance that will not need to specifically address every new idea that comes down the road. We cannot “what if” every idea from more than 100,000 packs, troops, crews and posts. We trust in the belief that reasonable and rational people who are committed to Scouting ideals will do reasonable and rational things to bring Scouting to more young people. Happy 104th birthday, Boy Scouts of America!